This post covers previews for two second round matches on Tuesday at the Qatar Total Open in Doha featuring the two highest ranked German players; Angelique Kerber who plays Saisai Zheng and Andrea Petkovic up against Margarita Gasparyan. In her first WTA tour match since winning the Australian Open, Angelique Kerber will play Saisai Zheng in Doha. So much has changed for Angie in the last month and it’s still quite a shock to see her as the number one seed at such a high-profile tournament. Kerber rose to number two in the world by virtue of her magnificent run in Melbourne and is likely to stay there for sometime with few points to defend until April. Kerber has played since Melbourne, competing the week after in Fed Cup action; she went 1-1 over the weekend, comfortably defeating Timea Bacsinszky, 6-1 6-3, but failing to nag a first win over Belinda Bencic, going down, 6-7(4) 3-6. You can cut Angie some slack though who was obviously physically and mentally fatigued. Head-to-head record: This will be the first time that Kerber and Zheng have played each other on the WTA tour. In another first career match-up, Andrea Petkovic and Margarita Gasparyan will play each other in a sure-to-be compelling second round encounter. 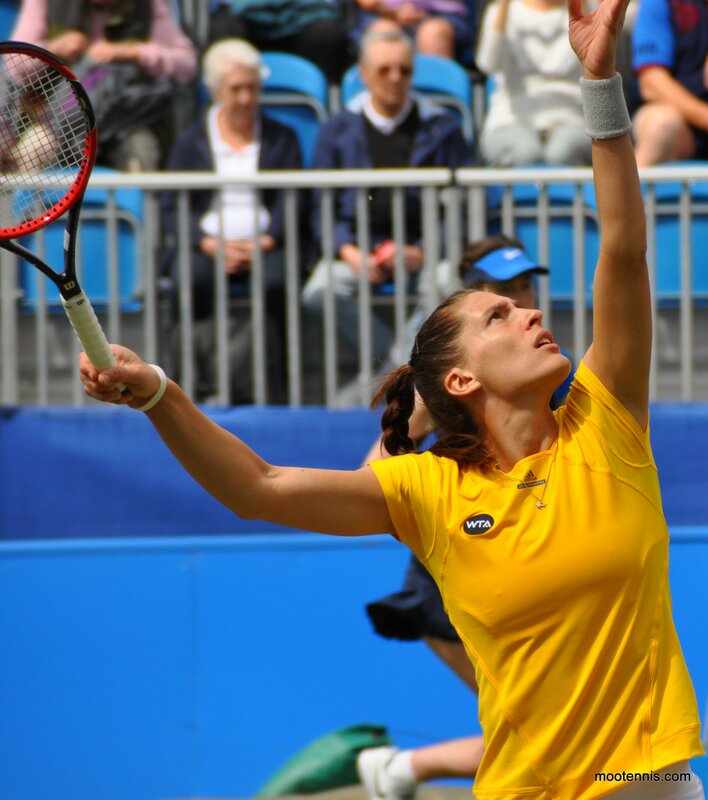 Both eased through their opening matches on Sunday; Petkovic continued her dominance over Ekaterina Makarova, beating the Russian player for the fourth straight time, 6-3 6-2, in her most convincing win yet. Gasparyan upset the number ten seed, Karolina Pliskova, dropping just two games. While Pliskova continued to show little fight on the court, she was outplayed by a super solid, Gasparyan. Interesting stat: Talking of stats, both Petkovic and Gasparyan kept it very clean in their first round match; Gasparyan hit 15 winners to 7 unforced errors, while Petkovic also hit 7 unforced error but 23(!) winners. February 22, 2016 in Doha, Gasparyan, Kerber, Petkovic, Saisai Zheng, WTA. I think Vinci will beat kasat. Don’t really see an upset? to make it ‘worse’,Saisai was the last direct acceptance! but a great win by Saisai! I know, it just shows how hard matches are to call now. 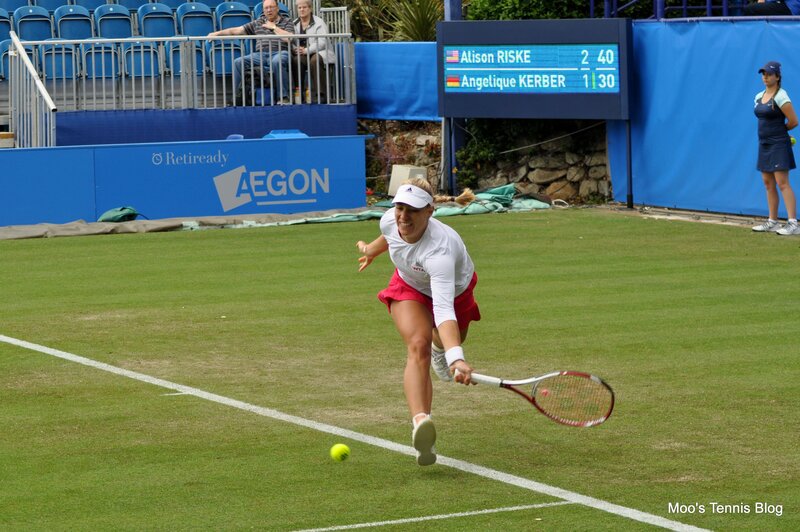 Saisai played a great match though even she admitted Angelique Kerber wasn’t at her best. Thanks for always pointing out my errors, Brian. In hindsight, some of my comments will look silly but that’s tennis! It certainly is James. The best one I know of was a commentator at Wimbledon who was asked to forecast an Andre Agassi match against a then unknown player, the Thai Paradorn Srichaphan, and predicted a straight sets victory. He was right; but all three sets went to Paradorn and not Andre as the commentator was assuming. (Just looked it up and it was 2002). And absolutely nobody thought Roberta Vinci would beat Serena at the US Open, not even Robi herself as she admitted in her post-match interview on court. (Except maybe her mum?) So I’d say you’re in good company there! As I’ve said I think women’s tennis is getting almost impossible to predict now. Even a player of Aga Radwanska’s standard can lose to a player she double bagelled in their previous match and who she’d always beaten before (she’s done this twice now that I know of, to Domi Cibulkova and Annika Beck).